Biography: Restoration Christ Centre began in 2004 with four members and has grown to a large congregation who are committed and devoted to God and the church. Peter and Winfrida co-pastor the church and have a vision to reach the unreached with the glorious Gospel of Christ. Their mission statement is, with God all things are possible. The church has cell groups which meet in homes weekly, a children's ministry and an active youth ministry which meets every Saturday for debates and discussions on issues affecting youth in their country. The focus of the ministry is prayer and youth with evangelism project that include local volleyball matches. 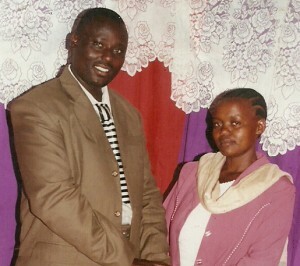 Strengths: Peter and Winfrida have pastor's hearts and are gifted evangelists. Peter moves in the gift of prophesy.